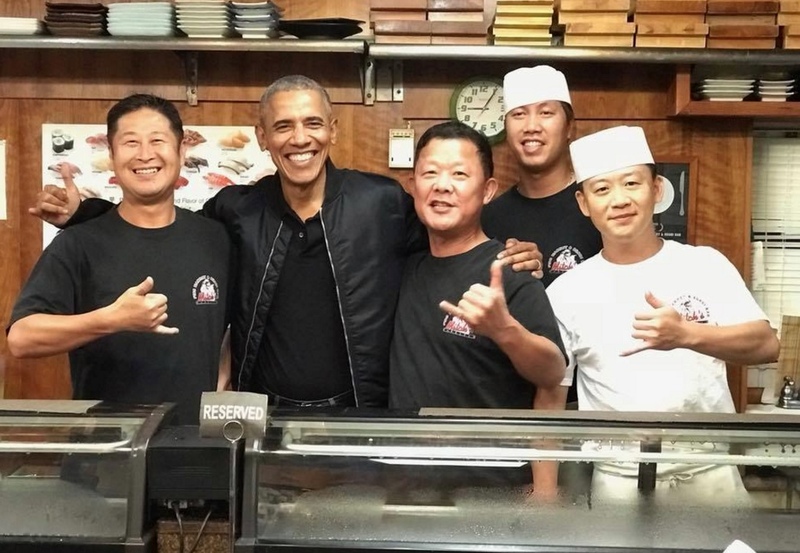 Mitch’s Sushi Bar, located at 524 Ohohia St. in Honolulu, recently welcomed former President Barack Obama, a Hawaii native who frequently visits his home state. This photo, posted on the restaurant’s Facebook page on Nov. 26, had the following description: “Our newest sushi chef! After 8 years in office he’s up to a new challenge.” Obama was also spotted playing golf at the Mid-Pacific Country Club.